MASON LAKE — By the time Tim Vack was 36, he owned a one-bedroom condo, a three-story townhouse, two golden retrievers, a 42-foot yacht, several cars, a successful business with 10 employees, and he had a large group of friends. So, why wasn’t he “happy”? Vack, Modern-Shed’s general manager since 2010, needed to simplify his life, but he wasn’t sure how just yet. Vack owned nine different cars between the ages of 17 and 24 and consistently bought things to make him happy. However, by 2000, when he was 40 and running his own business with a plethora of objects and friends to occupy his attention, he felt exhausted. Enter Jeff Bergerson, a personal trainer who began to teach Vack how to look inside himself. The idea of living simply began to percolate in Vack’s mind, but it wasn’t until 9/11 that he was forced to make some changes. The terrorist attacks and the further-reaching impact 9/11 had on the economy drove down Vack’s business — he lost customers, he lost money and he soon had to lose his employees. Vack was forced to downsize. 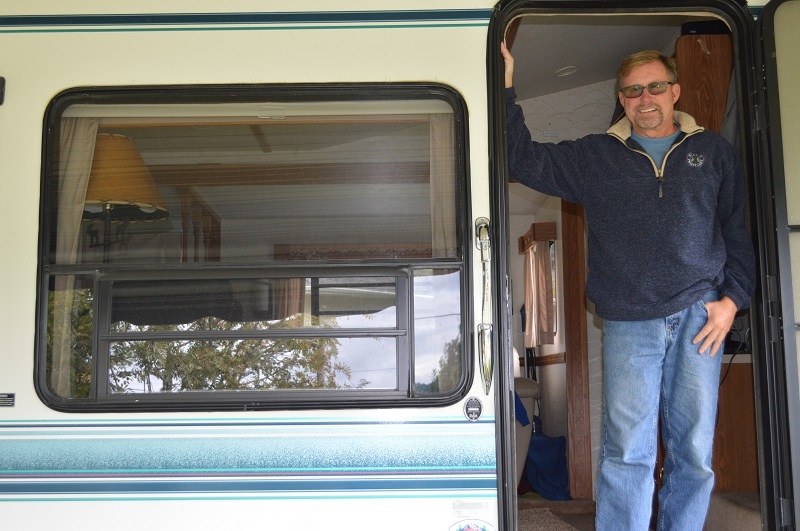 He sold his townhouse and his boat, traded in his car and moved to a smaller home on Mason Lake, in rural Western Washington, where he started an online business with Bergerson. Still, it would take further setbacks over the next few years for Vack to realize the true lessons of downsizing because habits sometimes die hard. As he balanced the online business with a job selling sunrooms, Vack’s debt climbed and the Great Recession of 2008 started taking its toll — Vack had trouble making ends meet, no one was buying “jewelry for their homes,” and eventually he took the advice of his mortgage company to stop making payments on his home for 90 days, so that he could obtain assistance from the newly-formed government programs for homeowners in financial trouble. Government assistance was not going to pan out and Vack short sold his home in July of 2012 for less than two-thirds of what he owed. He decided to get serious about making lifestyle changes so he could someday retire. Downsizing seemed the best option. 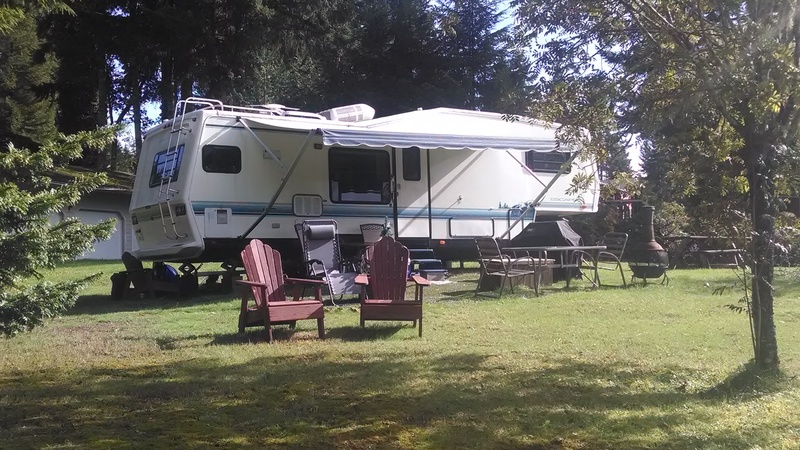 He now lives in a 30-foot fifth wheel RV on half an acre near Mason Lake. One year later almost to the day this is published he is happy with his surroundings and thrilled with spending his time and energy in business and with friends instead of caring for “things.” And, he enjoys having money in the bank for the first time in a long time. Now, Vack encourages others to examine their lives and downsize if they desire or if it has become a necessity. Examine > Think about what you desire from downsizing. Simplicity, peace, harmony etc. Do you feel the weight of owning and caring for “things”? If you are stressed emotionally or financially, examine the “why” and be truthful with yourself. Do not let guilt or obligation be part of the equation if at all possible. Think and Visualize > Once you decide to downsize, create positive (not negative) thoughts around it. Think and visualize the benefits of reducing clutter. Think and “see” the free time you may gain by not having to care for all of the things in your life. Think about the ease of traveling and being “free.” Visualize a smaller living space. Visit an RV lot and see if you could live in this smaller space. Detach > Examine the difference between what you need and what you want. This will help you determine what to keep, what to store, what to sell and what to give away. Touch every item you own and ask not, do I need this, but rather, “Do I REALLY need this?” Remember, photos, video, music, documents, notes, calendar items and more can be made digital these days. Design > Plan and design your new life, but be careful in this vision and thought process above. Be sure to consider whether you want to travel or be mobile in this visualization process. Just as an architect designs a building or an industrial designer designs a new tool or automobile, nothing is created without thought and design. Think, sketch and design your new space. Create a vision board and do research. Determine Size > Once you decide what you only need, which can include emotionally attached items, you can then calculate the space you require. Try not to rent storage space if it can be helped, as storage fees will quickly be more costly than the items in storage. Everything you own you can get rid of and buy back at a fraction of the cost. Give, sell or loan items away. Try it out > Go rent a small vacation place or RV for a few weeks. Look for the inconveniences and see if you can overcome them. Ask yourself if you are willing to do without and or make do or not, and be honest. Watch for claustrophobia. For a more residential feel, rent the Modern-Shed compound in Port Townsend, Wash and try it on for size. Modern-Sheds are designed around bringing a lot of natural light in through the clerestory glass and are engineered to have a lot of windows and doors. RVs and mobile homes, on the other hand, have low windows which sometimes can only be viewed out by sitting. Let go > To help you let go, realize that small and simple does not have to be forever if you don’t want it to be. This may just be a temporary solution for your situation. If you don’t like it or it doesn’t serve you, all you have to do is change your mind. Do more> It will take some time to acclimate and get used to a new ways of doing things, from cooking to sleeping to socializing. Vack recommends going out for coffee, lunch and dinner a little more often than normal during the first month to alleviate any cabin fever which can happen. Do things to stay positive such as joining a gym or taking a class to get outside your new smaller space. They say it takes 28 days to get rid of an old habit and form new styles. Realize this applies to your new life.